"Break the Skin" by Lee Martin~Crushing Story! But Miss Baby and Laney are connected by a terrible crime, and, bit by bit, the complex web of deceptions and seemingly small misjudgments they’ve each helped to create starts to unravel—all the way to the shocking, tragic climax. 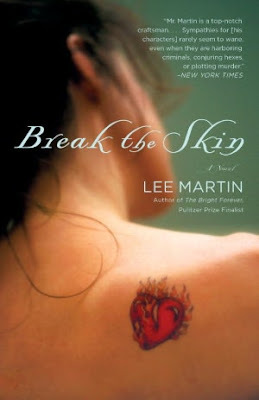 Lee Martin is the Pulitzer Prize Finalist author of The Bright Forever, and three other novels, including Break the Skin. His other books are the novels, River of Heaven and Quakertown; the memoirs, Such a Life, From Our House, and Turning Bones; and the short story collection, The Least You Need to Know. His fiction and nonfiction have appeared in such places as Harper's, Ms., Creative Nonfiction, The Georgia Review, The Kenyon Review, Fourth Genre, River Teeth, The Southern Review, Prairie Schooner, and Glimmer Train. 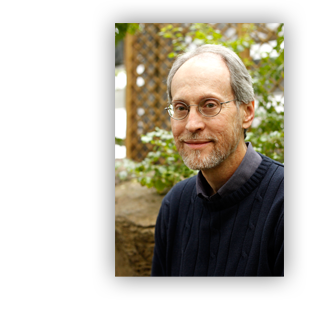 He is the winner of the Mary McCarthy Prize in Short Fiction and fellowships from the National Endowment for the Arts and the Ohio Arts Council. He teaches in the MFA Program at The Ohio State University, where he was the winner of the 2006 Alumni Award for Distinguished Teaching. There is a moment, perhaps more than one, in every person's life that serves as a crossroads. A moment after which you say, "If only I had done this instead of that, things would be different." Because those moments bear so much weight on the rest of our lives, they become indelible, inescapable. We try to escape them, deny their consequences or talk ourselves into some wary truce with them but ultimately we know they'll always be part of us so we learn to live with them, if we're lucky. Lee Martin, a 2006 Pulitzer Prize finalist for his novel "The Bright Forever" about a 9-year-old girl's disappearance from rural Indiana in the 1970s, masters the small moment. The small, ordinary yet very weighty moment. Behind the ordinary facade of a Wal-Mart store in middle America, a drama is unfolding when the shy and impressionable teenager Laney Volk befriends hot-headed Delihah Dade, a stick of dynamite whose explosion in the small town of Mt. Gilead, Illinois, can only lead to trouble. Eager to leave her childhood home, where even her mother's modest expectation that she develop her singing talent is too much pressure for her, Laney moves in with Delilah and another unmoored woman, Rose MacAdow. While Delilah's poison is noncommittal men and her.38 Special, Rose is persuasive in amateur witchcraft. Laney pinballs between the two, who develop a potent animosity over their mutual affection for one of those noncommittal men — the lead singer in a local band who means well but has about as much backbone as his name, Tweet. Martin's story of how these people's lives intersect would be gripping enough, even with veneer of doom and depression that overlays everything they do, but he weaves in the colorful plot twist of Betty Ruiz — aka Miss Baby. Miss Baby is a tattoo artist in Denton, Texas, who one balmy night befriends a man who doesn't seem to have a past, so she fabricates one for him, which works well as the two develop the kind of gentle romance Miss Baby has been craving. That is until the police, who are already pestering Miss Baby for the whereabouts of her fugitive brother, Pablo, become suspicious of Lester Stipp. It's revealed that Stipp, an Iraq War veteran with the indelible memory of a horrible crime on his conscience, is prone to bouts of dissociative fugues, a rare psychological condition that causes temporary but reversible amnesia. The fact that this condition is real makes Lester's flight from Mt. Gilead (where he was Laney's sweetheart) to Texas more believable. Stipp becomes the tie that binds, the one who picks up the loose threads of this tragic tale and brings them, irrevocably, together. Martin lets the reader hate his characters if they must — "How could they do that?!" you might find yourself thinking. But he himself treats them very humanely, explaining their behavior as the lengths some people will go to for love. As Laney narrates: "It was the idiocy of people so starved for love they didn't have a thought in their heads of how easily their lives could spin out of control . . . [It was] a story of want. A story of greed, but under it all a story of fear, which was the same as love, when push came to shove, and you found yourself shaking with the thought that you might never find someone, that you'd always be alone in a world where everyone but you — you'd swear this to be true — was happy." The conclusion of the novel is horrifying and hinges heavily on one of those "if only" moments, so much so that even if you mourn Martin's brilliant and absorptive writing, you'll find yourself grateful for your own ordinary life. Love the review! Thanks for sharing with us.